Please sign our petition http://www.ipetitions.com/petition/EddingtonSafety and forward this to friends, especially if you have Cambridge connections. How to design climate negotiations: use the science of cooperation! We are pleased to inform you that you have been awarded the 2016 Breakthrough Paradigm Award. This annual prize honors those whose work has made a major contribution to realizing a future where all the world’s inhabitants can enjoy secure, free, prosperous, and fulfilling lives on an ecologically vibrant planet. You were chosen in recognition of your path-breaking scholarship and public service on clean energy, energy systems, and innovation. Your influential text Sustainable Energy – without the hot air continues to be an invaluable resource to the popular and policy conversations on climate change. Your commitment to accessibility, both at the sentence level and in your efforts to make your books available for free, distinguishes you among many scholars and academics working today. We are especially pleased to honor your five years of public service at the UK Department of Energy and Climate Change, and your work steering Britain toward one of the most ambitious and pragmatic climate policy trajectories in the world. Your work has had a significant influence on our thinking about energy technologies and transitions, including on how we train our junior fellows to understand the cost, impact, and scale of energy transitions. Your work has made the global energy conversation less dogmatic and moved the world closer to more rational and effective action. We hope the prize helps expand the valence of your work, introducing new scholars both young and old to Sustainable Energy – without the hot air. Of all the “Great Transformations” achieved by societies, energy transformations are perhaps the greatest and most central. You understand these transformations better than almost anyone living, and your writings will no doubt be read far and wide in the decades to come. We offer our congratulations and deepest thanks for your inspiring work, and we look forward to meeting you soon. There is a new release of my 2010 "Sustainable Energy - without the hot air" lecture at Caltech which includes close-captioning. Thank you, CMU, for providing the cc! I have made a New Contents Page for Sustainable Energy - without the hot air - http://www.withouthotair.com/sewthacontentsTHIN.shtml which is intended for viewing on thin, small displays. This contents page enables quick navigation to any page in the book. I recommend bookmarking it as the best quick way into the HTML book, especially on a smart-phone. More enhancements to the HTML version of the book may be on the way soon. For twitter users, I've added a "tweet" button to the top of every HTML page. Lots of people have asked me whether recent hype and hoopla about solar panels and batteries overthrows what I wrote in my book in 2008. I am preparing a detailed update. Watch this space! The theme of my update will be the existence of a phenomenon called winter, which many of the solar-hyponauts seem to ignore. Here is a teaser trailer showing the winter and summer 3-month-average insolation in 50 US states. I heard that recently-built UK offshore wind farms have higher load factors than old wind farms. I thought it would be interesting to plot the raw data, which is available from the helpful REF website. (The load factor is the ratio of the average output of the wind farm to the maximum possible output, and it is usually expressed as a percentage.) 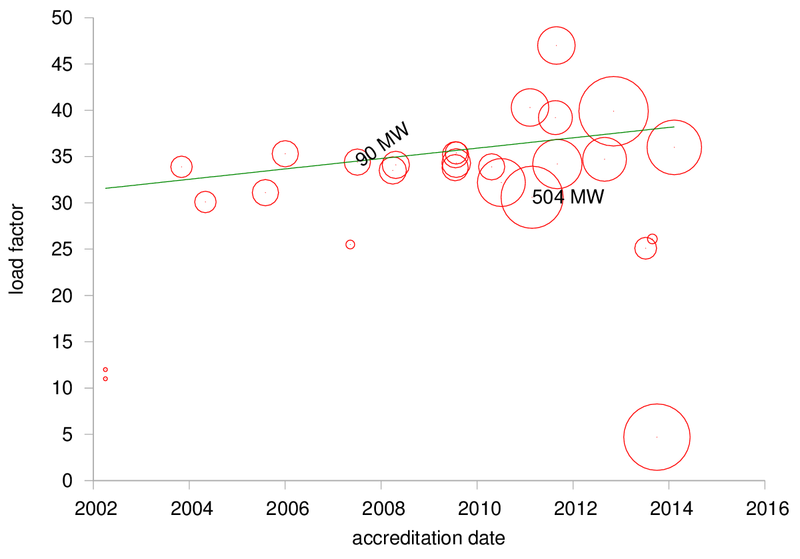 The graph below shows the rolling load factor of the 27 offshore wind farms in the UK, versus their accreditation dates. 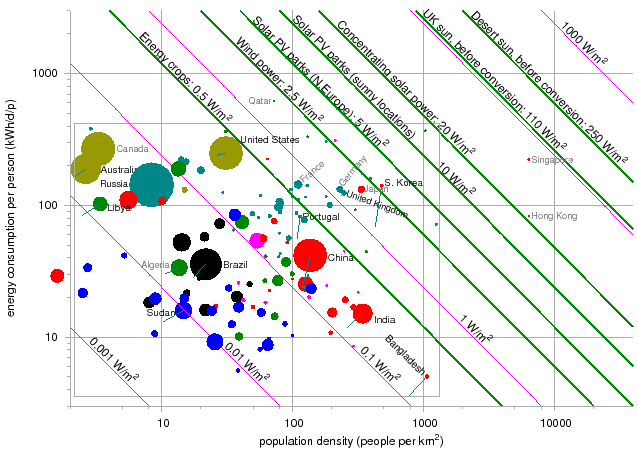 The size of each point is proportional to the capacity of the wind farm. One of the newest wind farms has a very low rolling load factor - this is Gwynt y Mor, the bottom right point on the graph; Gwynt y Mor is the second biggest offshore wind farm in the world. Presumably this poor load factor is a temporary glitch associated with the commissioning of the wind farm. 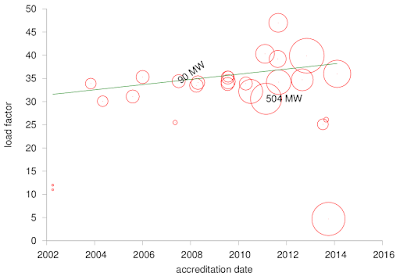 If we ignore that point as an outlier, and simply compare the average rolling load factors for accreditation dates before and after June 30th 2010, it looks as if the average load factor may have increased from about 33.9% (&pm; 2%) to about 37.4% (&pm; 1%). Of course, a proper analysis should account for ageing effects and variations in the weather, both of which have been carefully studied by Staffell and Green. They found that "Wind turbines ... lose 1.6 ± 0.2% of their output per year" (which implies, for a load factor of 35%, a reduction in load factor of 0.56% per year - a trend that I have shown by the green straight line in the next graph). So, has there been a technological improvement in offshore wind turbines that has boosted load factors? Having been involved in innovation support while I worked at DECC, my prior expectation was that the answer to this question could easily be "yes". But actually it looks like it is possible to account for the apparent trend in the data by a simple "ageing" hypothesis: perhaps the newer wind farms are better just because they have aged less? Having had a go at the walls, the windows, the roof, and air-tightness, I've decided to get the last physical improvement done to our house - the floor. The area of wooden suspended floor is about 35 square metres. According to page 290 of my book, the U-value of the floor is 0.7 W/m2/K, so the floor has a leakiness of about 25 W/K, which assuming an average temperature difference of 6 degrees, implies a conductive heat loss of 147 W (3.5 kWh/day). (The floor may also contribute some of the ventilation-leakiness of the house, but I'll neglect that.) The floor doesn't just lose heat, it also feels cold, and thus (a) affects quality of life, and (b) perhaps causes us to turn up the thermostat sometimes to improve our feeling of warmth. If we manage to keep the whole house (leakiness 240 W/K) on average 1 degree cooler thanks to improved floor insulation, then that would be an extra 240 W of saving (6 kWh/day). 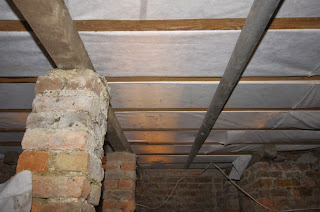 I didn't do an economic calculation before deciding to get the underfloor insulation. It just feels like the right thing to do, and Retrovive was recommended by someone from Max Fordham, whose judgement I respect highly. Anyway, let's work out a pay-back time. The anticipated new U-value is about 0.25 W/m2/K. 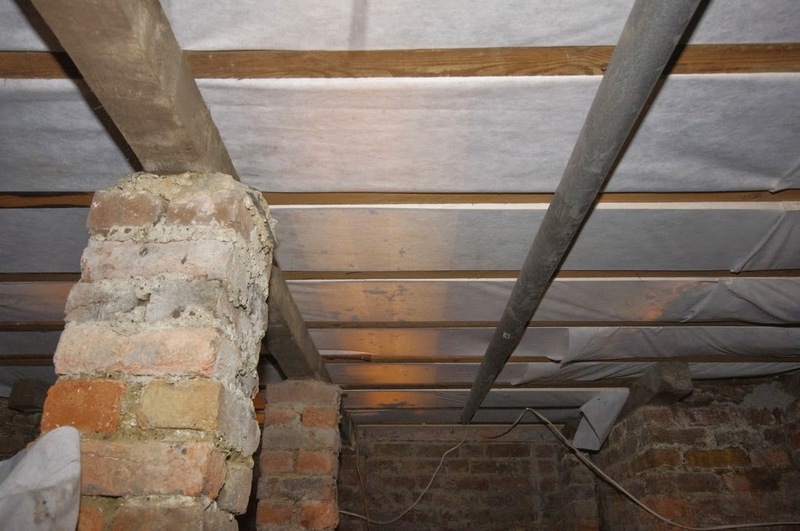 It looks like the work will cost about £2900 including VAT (including insulating central heating pipes that run under the floor) (for comparison we are perfectly happy to put down new carpets over a smaller area for a cost of £1150). If the insulation eliminates two thirds of the floor's conductive heat loss (i.e., about 2.2 kWh/day) and delivers say one quarter of the notional 6 kWh/day saving guessed above (if we managed to turn the thermostat down a bit), the total saving might be 3.7 kWh/day. With gas costing 5.2p per kWh, that's 20p per day, or £70 per year. So the payback time might be about 41 years. If I went to the high end of all my estimates, I might imagine a saving of 9.5 kWh/day on average, in which case the payback would be about £180 per year and the payback time would be 16 years. I am expecting that the main value of this work will be the improved feeling of comfort. People are happy to pay £36,000 per year to rent a family home [That's what we paid to rent a flat in London, at least]. If the home's main room feels really cosy, how much extra would we be willing to pay? I could imagine 5% or 10%. On those grounds, the comfort of cosiness is worth £1800 to £3600 per year. So the payback time, taking into account this benefit, is just one or two years. 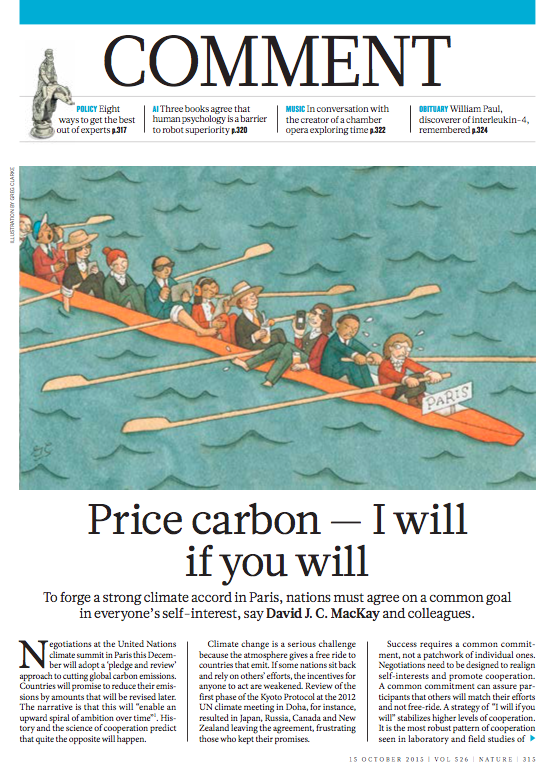 I'm giving the Charles Simonyi Annual Lecture tonight (14 November 2014) and during my talk about Why climate change action is difficult, and how we can make a difference, I will mention the 2050 Calculator, a tool to help people have constructive conversations about Britain's energy options, and to support consensus-building. The options in the calculator include lifestyle changes, and all sorts of technologies for saving energy and sourcing low-carbon energy. I would love to help Oxford crowd-source its own 2050 pathway, but there won't be time in this single lecture to do it; so here is the plan: I'll come back to Oxford in March 2015, and, with Mark Lynas and other celebrities at the Oxford Literary Festival, we will find out what pathway the Oxford audience would like to choose, to keep the lights on, have energy security, and meet the UK's legal climate change targets . To ensure that we have a really good deliberative discussion, the Oxford community is welcome to use the comments area of this blog page as a place for discussion. Commenting rules: Please discuss options in the calculator, and what you would like the UK to do. Please don't have a pub brawl. Please discuss pathways that add up. It's fine to say you dislike an option, but you should feel an obligation to describe how you would propose to get by without that option, taking into account other people's views about the other options. At the Oxford Literary Festival event we will take all your comments into account and use them as a springboard for a really constructive discussion. Thank you for joining in! You may be interested to see what pathways other cities chose, when they took on the "British Energy Challenge" - here are those cities' choices, and my reflections on the British Energy Challenge roadshows of 2013 and 2014. I look forward to listening in and supporting Oxford's energy pathway discussion in 2015! My Simonyi lecture slides are here, and Sustainable Energy - without the hot air is free online too. The 2050 Calculator also contains lots of well-written documentation [click on the blue "i" icons] to help guide your decisions. 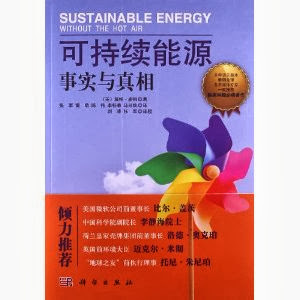 When I published Sustainable Energy - without the hot air, there were quite a few topics I could have included but didn't because they seemed a little too blue-sky. For example I have draft chapters on Osmotic Power and on Kite Power (and if I were to rewrite the book today I think that I would now include Kite Power after all). 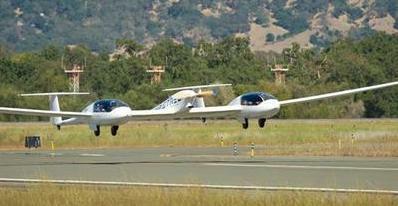 Another idea I dismissed at the time was "what if we put solar panels in space, in geo-synchronous orbit?" I dismissed that idea on the grounds that "the advantage of space over the deserts of Libya and Nevada as a location for solar panels is only roughly a factor of 4, and surely that's outweighed by the difficulty and cost of getting panels (and associated power-re-transmission systems) into space, compared with just plopping them on the ground in a desert?" However, Keith Henson has for some time been working out the details of a scheme that might prove me wrong. 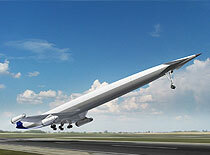 It involves many clever ideas, and some ambitious ones - such as the idea of powering a Skylon freight-delivery space-craft by space lasers that are powered from the ground with GW-scale microwave transmitters! I encourage people who are interested to read Keith's 'dollar a gallon' post and his follow-up post. Further reading: Solar energy in the context of energy use, energy transportation, and energy storage - a paper in which I provide data for the power per unit area of real solar farms, and discuss the need for significantly cheaper energy storage if ground-based solar power is ever to contribute a significant fraction of energy consumption. How would the footprint of a shale gas operation compare with the footprint of other ways of delivering a similar quantity of energy? There are many dimensions to a "footprint". 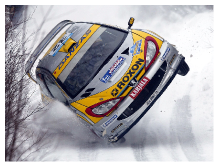 In this blog post, I'll look at land area, vertical height, and vehicle movements. I'll compare a shale gas pad (which might produce 0.9 billion cubic metres of gas over 25 years) with a 174-MW wind farm and a 380-MW solar park, both of which would deliver roughly 9.5 TWh of electricity over 25 years ­– the same amount of energy as the chemical energy in 0.9 billion cubic metres of gas. In this table I've highlighted in green the "winning" energy source for each of the footprint metrics. The total land area of the facility is smallest for the shale gas pad, and largest for the wind farm. The land area actually occupied by stuff is smallest for the shale gas pad, and largest for the solar park ­– the wind farm has lots of empty land between the turbines, which can be used for other purposes. When it comes to truck movements, all three energy facilities require lots! I've assumed that solar panels are delivered at a rate of 800 (originally 400*) panels per truck; for the wind farm, my estimate is dominated by the delivery of materials for foundations and roads at 30 tonnes per truck; the estimates for the shale gas pad are from DECC's recent Strategic Environmental Assessment and from the Institute of Directors' report "Getting Shale Gas Working". The shale gas pad might require the fewest truck movements, if all water is piped to and from the site. But if water for the fracking is trucked to and from the site, then the shale-gas facility would require the most truck movements. What can we take from these numbers? 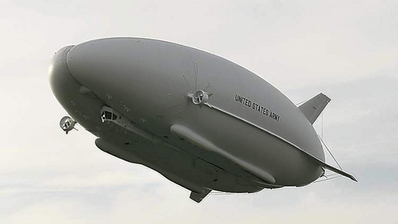 Well, perhaps unsurprisingly, there is no silver bullet ­– no energy source with all-round small environmental impact. If society wants to use energy, it must get its energy from somewhere, and all sources have their costs and risks. I advocate deliberative conversations in which the public discuss the whole energy system and look at all the options. Thanks to Jenny Moore, Martin Meadows, and James Davey for helpful discussions. 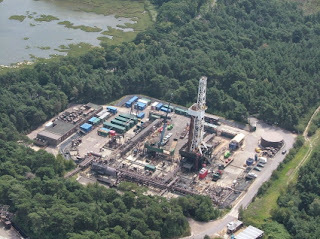 Photo: Wytch Farm, on the perimeter of Poole Harbour in Dorset, is the largest onshore oil and gas field in Western Europe. It is located in an Area of Outstanding Natural Beauty. The photograph shows the 34-metre-high extended-reach drilling rig, from which boreholes longer than 10 km have been drilled. 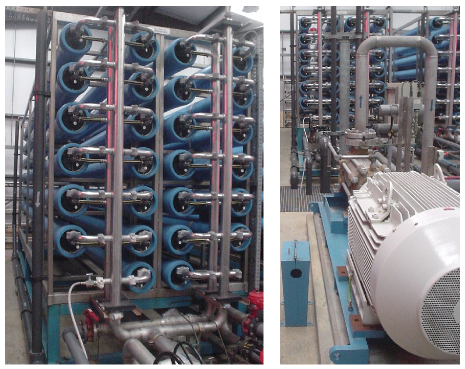 All estimates are for energy production facilities located in the UK. The estimate of energy produced from a shale gas pad is highly uncertain, since there are no data for actual shale gas production in the UK. 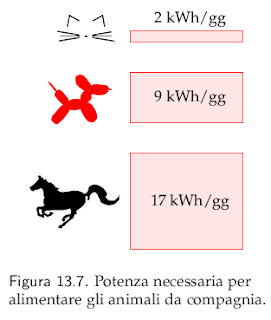 The comparison in the table is based on deeming 1 kWh of electrical output from the wind to be 'equivalent' to 1 kWh of chemical energy in the form of gas. This is the conventional equivalence used for example in DUKES and in Sustainable Energy - without the hot air. The following differences between the energy sources should be noted. The three sources of power have different profiles of power generation. On an annual scale, a single shale gas well produces most power when it is newly fractured, whereas a wind-farm produces a relatively constant average power over its life. On an hour-by-hour scale, the gas from the well is dispatchable – its flow can be turned up and down at will – whereas the power from a wind-farm is intermittent. In a world in which the only conceivable use for gas is making electricity in a power station with an efficiency of about 50%, one might prefer to deem each 1 kWh of gas as 'equivalent' to just 0.5 kWh of electricity. On the other hand, in a world that values gas highly relative to electricity that is generated at times when the wind blows, one might imagine planning (as Germany is said to be planning) to use electricity from wind-farms to synthesize methane (with an efficiency of 38-48%); then one might deem each 1 kWh of wind-electricity as being 'equivalent' to 0.38-0.48 kWh of gas. If one wished to make a comparison in which both power sources are constrained to have very low carbon emissions, the shale-gas well must be accompanied by other assets. For example, if the gas is sent to a power station that performs carbon capture and storage, the gas-to-carbon-free-electricity efficiency might be about 42%, and the land area for the power station and the carbon transport and storage infrastructure should be included; assuming that these assets have an area-to-power ratio of 100 ha per GW(e), each 43.4-MW gas well (which would yield 18.2 MW of electricity) would require an extra 1.82 ha of land, which roughly doubles the 2-ha land area mentioned in the table. My estimate for vehicle movements for large wind-farms is based on Farr wind-farm. I'm sure there is considerable variation from project to project, and I would welcome more data. For the number of truck movements required for a wind farm, I reckoned there would be about 870 movements to bring in the turbines themselves [counting an in-bound and out-bound trip as two movements], and significantly more movements to bring in the materials for roads and concrete for foundations. Some of these materials may be mined from quarries located on the wind-farm, which would then involve no vehicle movements on public roads; based on Farr wind-farm (where three quarters of the road materials were sourced on site) [sorry, I don't have a link for this fact], the road building would require 2774 vehicle movements for a 174-MW windfarm, and the foundations would require another 4140 or so – in total, about 7800 vehicle movements. Potential greenhouse gas emissions associated with shale gas production and use. John Biggins sent me a helpful email querying a number in my book's chapter on "Stuff". I have a question about the embedded energy in a car, which you quote at 76000kWh. That seems awfully high to me. To a first approximation a car is a tonne of steel, with a raw material energy of 6000kWh: an order of magnitude less.The (admittedly biased) Society of Motor Manufacturers & Traders report quote an even lower figure of 2000kWh per car (page 17), which I suspect is probably meant to be simply the energy used per car by the car plant, neglecting materials. The guardian also wrote about this in 2009 . They asked a few manufacturers, and arrive at a figures in the ballpark of about 1-4 tonnes of C02 to produce a car, which we might reverse engineer guessing most of the CO2 comes from coal burning in either steel production or electricity generation, to get ballpark figures of probably no more than 10,000kwh per car. Since these estimates actually differ from your figure by a magnitude, I thought I'd write and ask whether you particularly believe your 76,000kWh figure. 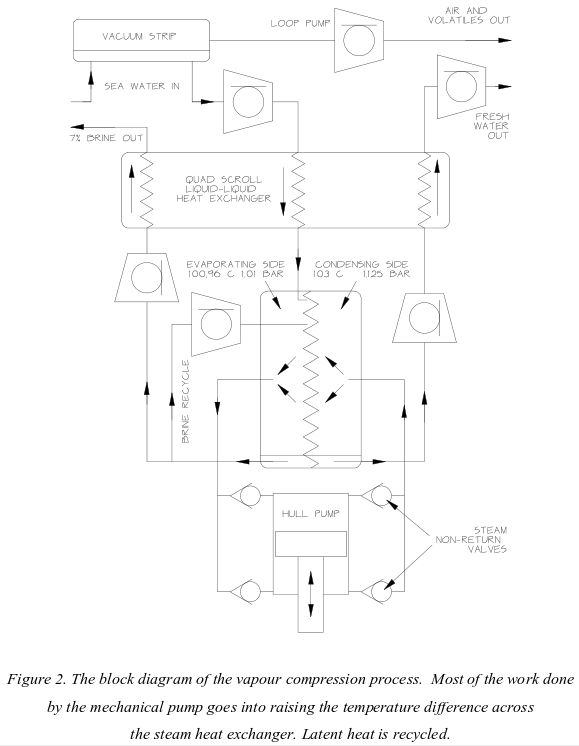 Do you have any back-of-the-envelope type way to understand it? Voting for the Longitude Prize Challenge closes at 7.10pm on June 25th 2014. I'm very grateful to volunteers Alessandro Pastore, Javier Oca, Valentina Rossi, Alberto Marcone, Paolo Errani, and Simone Gallarini for completing the Italian translation of Sustainable Energy - without the hot air. There is an announcement of the translation, and a synopsis, at this link, and the first draft of the translation is available on the book's translation page. Energia sostenibile - senza aria fritta — Nel caso ci fossero sfuggite delle imperfezioni o errori, all'indirizzo email: energia.senzaariafritta@gmail.com, saremo ben lieti di riceverne segnalazione. Il libro in italiano può essere scaricato liberamente da internet all'indirizzo http://www.withouthotair.com/translations.html. I am giving the Clerk Maxwell Lecture for the IET on 6 March 2014 at the Royal Institution, London, UK. This post and its discussion area are for the IET audience who are coming to the lecture. 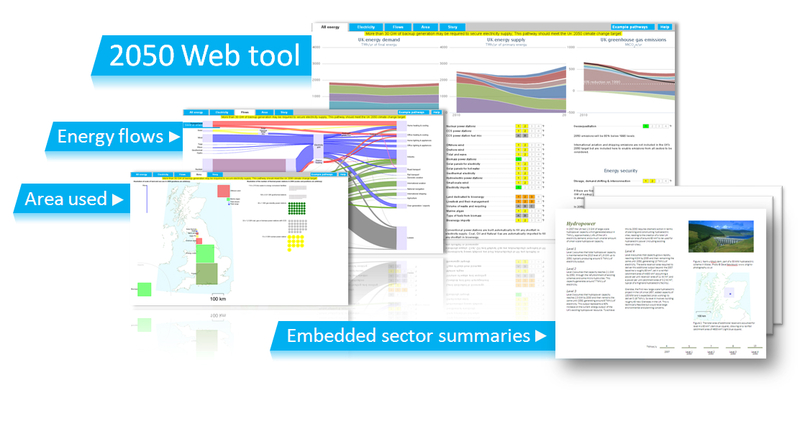 I'm aiming to make a highly interactive presentation in which we will try to crowd-source an "IET consensus pathway" in the UK's 2050 Calculator. To help the discussion go well, I'd like to encourage people who are planning to be in the audience, before the lecture, to play with the calculator, and to identify the levers they would most like to discuss during the lecture. Please use the comments area at the foot of this blog-post now as a discussion area. Please feel free also to discuss your preferred pathways or preferred settings of individual levers, and to discuss particular issues or trade-offs that you think should be part of a useful conversation using the calculator. For background reading, please see my posts about version 3 of the calculator and about some other people's preferred pathways. The outcome - Here is the pathway that we got to after one hour - I will write a few notes and propose possible tweaks in a moment. Top things that needed doing: (a) check which fuel mix for the CCS power stations works best; (b) check which choice of fuel from bioenergy works best; (c) explore space-heating options - the audience asked for a 15:25:60 mix of fuel-in-home (eg gas boilers):district-heating:heat-pumps, and the "CD" heating mix doesn't match this perfectly. Thank you to the audience for a fun evening! Update - After the lecture I made a few adjustments to the above pathway which I think the audience would have been content with. The resulting final IET London pathway (March 2014) is here. The changes I made were as follows: (a) I checked which choice of CCS power station fuel (solid/gas) was best for emissions, and selected "D". (b) I checked which "type of fuels from biomass" was best for emissions, and selected "B" (mainly solid). (c) I adjusted the commercial heating choice to "D,A" so as to make the overall heating mix for homes and commercial closer to the heating mix that the audience voted for. (d) I double-checked whether choices (a, b) were still optimal. The resulting pathway achieves a 77% reduction in emissions on 1990 levels (pretty close to the 2050 target of at least 80%), and requires no backup generation in mid-winter when the wind doesn't blow. My attention was recently drawn to an impressively fuel-efficient turboprop aircraft, the ATR72-600, which is claimed to be about one third more energy efficient than Bombardier's Q400 turboprop, which I featured on page 35 of SEWTHA. I've consequently written an update on turboprops, celebrating this achievement, but in the interests of balance I feel I should also nominate the advertisers of the ATR72-600 for this year's Hot Air Oscar for the most misleading "green" infographic, for this astonishing picture [at left] showing the difference between the fuel consumption of the ATR 72 and the Q400 on a 250-nautical-mile journey. 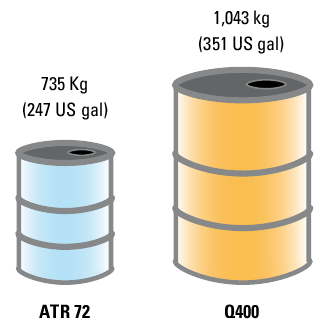 As the numbers in the picture show, the ATR 72's fuel consumption is 70% of the Q400's, but the volume of the three-dimensional blue barrel shown is 30% of the volume of the orange barrel — a 2.3-fold exaggeration! Do UK wind farms decline "very dramatically" with age? 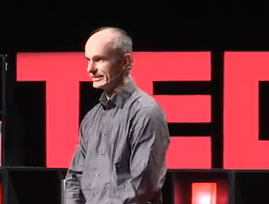 In December 2013, Christopher Booker in the Telegraph discusses a study by Gordon Hughes, published by the Renewable Energy Foundation in December 2012, which is said to show, due to wear and tear on their mechanisms and blades, the amount of electricity generated by wind turbines "very dramatically falls over the years". Booker asserts that "Hughes showed his research to David MacKay, the chief scientific adviser to the Department of Energy and Climate Change, who could not dispute his findings." This is not true. In fact, I doubted Hughes's assertions from the moment I first read his study, since they were so grossly at variance with the data. 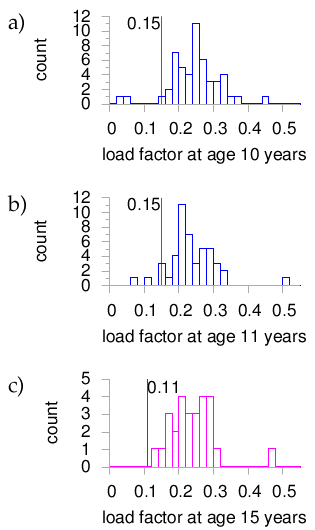 Figure 1: Actual load factors of UK wind farms at ages 10, 11, and 15.
a) Histogram of average annual load factors of wind farms at age 10 years. For comparison, the blue vertical line indicates the assertion from the Renewable Energy Foundation's study that "the normalised load factor is 15% at age 10." b) Histogram of average annual load factors of wind farms at age 11 years. c) Histogram of average annual load factors of wind farms at age 15 years. For comparison, the red vertical line indicates the assertion from the Renewable Energy Foundation's study that "the normalised load factor is 11% at age 15." 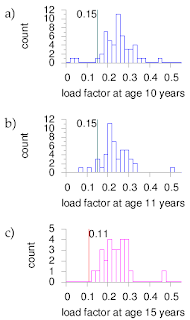 At all three ages shown above, the histogram of load factors has a mean and standard deviation of 24% ± 7%. Moreover, by January 2013 I had figured out an explanation of the underlying reason for Hughes's spurious results. I immediately wrote a technical report about this flaw in Hughes's work, and sent it to the Renewable Energy Foundation, recommending that they should retract the study. I would like to emphasize that I believe the Renewable Energy Foundation and Gordon Hughes have performed a valuable service by collating, visualizing, and making accessible a large database containing the performance of wind farms. This data, when properly analysed in conjunction with detailed wind data, will allow the decline in performance of wind turbines to be better understood. Iain Staffell and Richard Green, of Imperial College, have carried out such an analysis (in press), and it indicates that the performance of windfarms does decline, but at a much smaller rate than the "dramatic" rates claimed by Hughes. 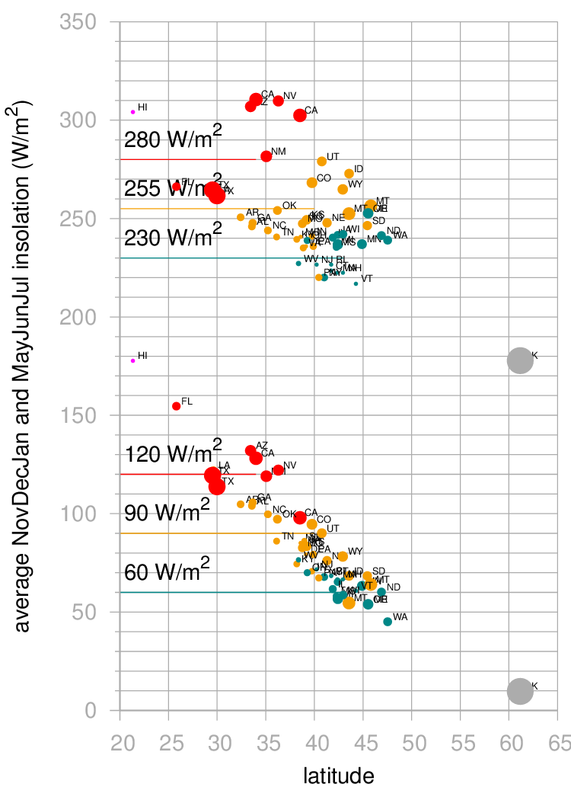 The evidence of decline is strongest for the oldest windfarms, for which there is more data. For newer windfarms, the error bars on the decline rates are larger, but Staffell and Green's analysis indicates that the decline rates may be even smaller. I will finish this post with a graphical explanation of the flaw that I identified (as described in detail in my technical report) and that I believe underlies Hughes's spurious results. The study by Hughes modelled a large number of energy-production measurements from 3000 onshore turbines, in terms of three parameterized functions: an age-performance function "f(a)", which describes how the performance of a typical wind-farm declines with its age; a wind-farm-dependent parameter "ui" describing how each windfarm compares to its peers; and a time-dependent parameter "vt" that captures national wind conditions as a function of time. The modelling method of Hughes is based on an underlying statistical model that is non-identifiable: the underlying model can fit the data in an infinite number of ways, by adjusting rising or falling trends in two of the three parametric functions to compensate for any choice of rising or falling trend in the third. Thus the underlying model could fit the data with a steeply dropping age-performance function, a steeply rising trend in national wind conditions, and a steep downward trend in the effectiveness of wind farms as a function of their commissioning date (three features seen in Hughes's fits). 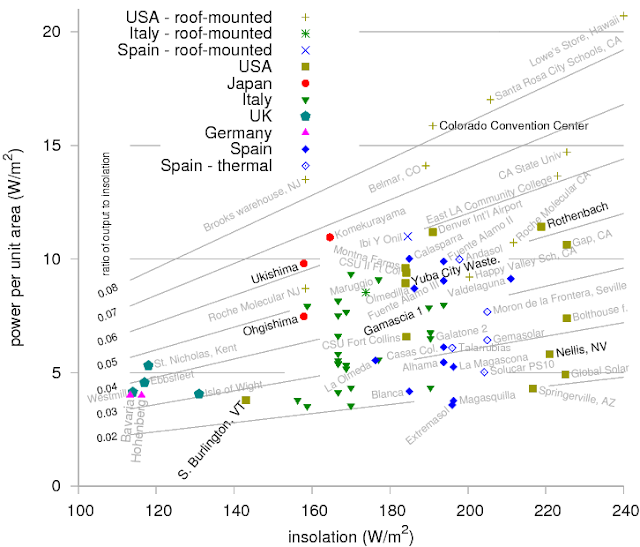 But all these trends are arbitrary, in the sense that the same underlying model could fit the data exactly as well, for example, by a less steep age-performance function, a flat trend (long-term) in national wind conditions, and a flat trend in the effectiveness of wind farms as a function of their commissioning date. The animation above illustrates this non-identifiability. The truth, for a cartoon world, is shown on the left. On the bottom-left, the data from three farms (born in 87, 91, and 93) are shown in yellow, magenta, and grey; they are the sum of a age-dependent performance function f(a) [top left] and a wind variable v_t [middle left]. (The true site 'fixed effects 'variables u1, u2, u3 are all identical, for simplicity.) On the right, these identical data can be produced by adding the orange curve f(a) to the site-dependent 'fixed effects' variables u1, u2, u3 (shown in green), thus obtaining the orange curves shown bottom right, then adding the wind variable [middle right] shown in blue (v_t). Three spectacularly large solar power stations have recently been in the news: Ivanpah, located in California, but within spitting distance of Las Vegas, is a concentrating solar power station in which 300,000 flat mirrors focus sunshine onto three power-towers. Solana, located in Gila Bend, Arizona, has a collecting field of about 3200 parabolic-trough mirrors, each about 25 feet wide, 500 feet long and 10 feet high, and it can generate electricity at night thanks to its ability to store high-temperature heat in vast molten salt stores. Kagoshima, near the Southern tip of Japan, has 290,000 solar photovoltaic panels. 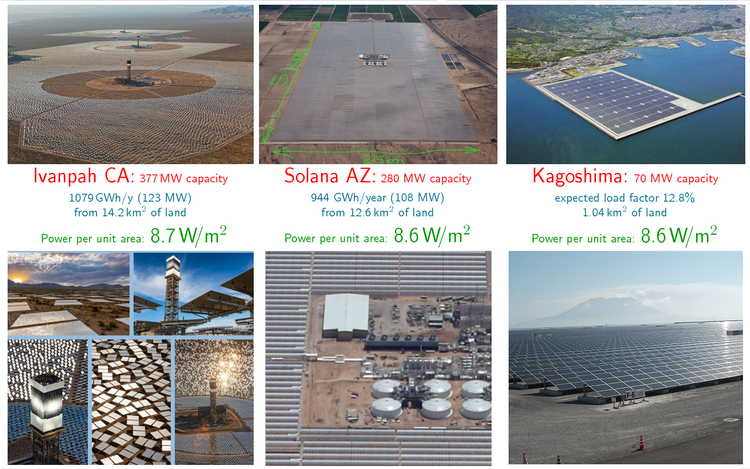 All three are enormous, and must be amazing to visit: Ivanpah occupies about 14 km2; Solana, 12.6 km2, and Kagoshima, 1 km2. 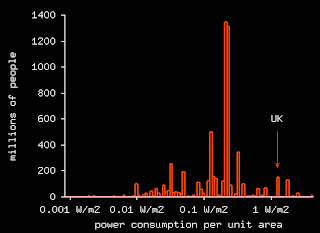 Now, I'm always interested in powers per unit area of energy-generating and energy-converting facilities, so I worked out the average power per unit area of all three of these, using the estimated outputs available on the internet. Interestingly, all three power stations are expected to generate about 8.7 W/m2, on average. This is at the low end of the range of powers per unit area of concentrating solar power stations that I discussed in Chapter 25 of Sustainable Energy - without the hot air; Andasol, the older cousin of Solana in Spain, is expected to produce about 10 W/m2, for example. I published a paper on Solar energy in the context of energy use, energy transportation, and energy storage in the Phil Trans R Soc A Journal earlier this year, and these three new data points lie firmly in the middle of the other data that I showed in that paper's figure 8 (original figures are available here). . These data should be useful to people who like to say "to power all of (some region) all we need is a solar farm the size of (so many football fields, or Greater Londons, or Waleses), if they want to get their facts right. For example, Softbank Corporation President Masayoshi Son recently alleged that "turning just 20% of Japan’s unused rice paddies into solar farms would replace all 50 million kilowatts of energy generated by the Tokyo Electric Power Company". Unfortunately, this is wishful thinking, as it is wrong by a factor about 5. The area of unused rice paddies is, according to Softbank, 1.3 million acres (a little more than 1% of the land area of Japan). If 20% of that unused-rice-paddies area were to deliver 8.7 W/m2 on average, the average output would be about 9 GW. To genuinely replace TEPCO, one would need to generate roughly five times as much electricity, and one would have to deliver it when the consumers want it. Maybe a better way to put it (rather than in terms of TEPCO) is in national terms or in personal terms: to deliver Japan's total average electricity consumption (about 1000 TWh/y) would require 13,000 km2 of solar power stations (3.4% of Japan's land area), and systems to match solar production to customer demand; to deliver a Japanese person's average electricity consumption of 21 kWh per day, each person would need a 100 m2 share of a solar farm (that's the land area, not the panel area or mirror area). And, as always, don't forget that electricity is only about one third or one fifth of all energy consumption (depending how you do the accounting). So if you want to get a country like Japan or the UK off fossil fuels, you need to not only do something about the current electricity demand but also deal with transport, heating, and other industrial energy use. 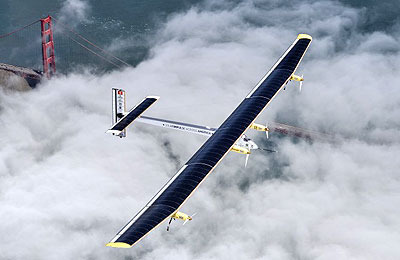 Sources: NREL; abengoa.com; NREL; solarserver.com; and google planimeter. I am very grateful to the Chinese Academy of Sciences and President Li Jinhai for arranging both the translation and its publication. Thank you! I've updated my "Map of the World" which shows, country by country, how human power-consumption per unit area compares with the power-production per unit area of renewables. I originally published this graph on my blog in August 2009. I've made quite a few improvements to it since then, including the representation of country size by point size, and colour coding of continents in the style of Gapminder. 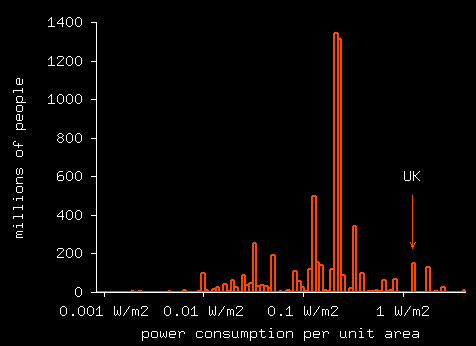 One interesting thing I figured out while working on this graph is that, while the average power consumption per unit land area of the world is 0.1 W/m2, 78% of the world's population lives in countries where the average power consumption per unit land area of the world is greater than 0.1 W/m2 — much as, in a town with some crowded buses and many empty buses, the average number of passengers per bus may be small, but the vast majority of passengers find themselves on crowded buses. Please follow this "Map of the World" link to see multiple versions of the graph, and to download high-resolution originals, which everyone is welcome to use. My "Map of the World" graphs are published this year in two journal papers, which I will blog about shortly. 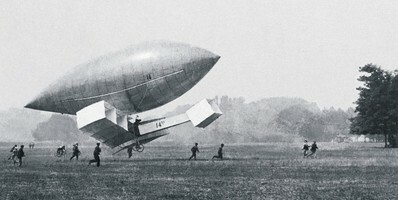 In Sustainable Energy - without the hot air I spent a couple of pages discussing hydrogen transportation, under the title "Hydrogen cars – blimp your ride". While I still think that some people have been overhyping hydrogen - even Nature magazine, who praised Governor Arnold for filling up a hydrogen-powered Hummer - some of the criticisms I wrote were incorrect and I wish to correct them. On page 131 I wrote: ... hydrogen gradually leaks out of any practical container. If you park your hydrogen car at the railway station with a full tank and come back a week later, you should expect to find most of the hydrogen has gone. Both of these statements are incorrect. I apologise to the hydrogen community for these errors. I will add a correction to the errata imminently. L'energie durable - pas que du vent! 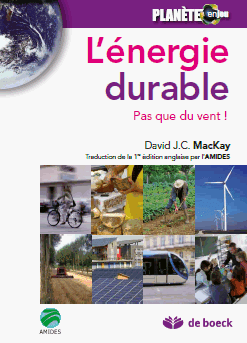 On 13th December 2012, I helped launch the French translation of Sustainable Energy - without the hot air by giving a talk in Paris, hosted by the Ecole Normale Superieure and the kind volunteer translators, AMIDES. The book was featured today by Le Figaro: Le Professeur MacKay réduit «les émissions d'âneries» . Just like the original English book, the French translation is available free on-line, and it can be bought at a reasonable price from your favourite retailers. Christian Gebbe has made a nice Personal Energy Estimator based on Sustainable Energy - without the hot air. All the key numbers are adjustable, so you can override the default assumptions. It's nicely done, and I am sure Christian will welcome your feedback. 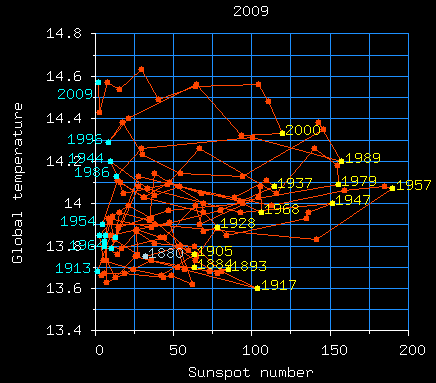 Here is an animation showing the evolution of global temperature and the number of sunspots over the last 129 years. And in case it isn't obvious what I think these data show, the message I get from them is that there is no obvious or strong association at all between sunspot numbers and global temperatures.